Articles published in SAR are determined through the blind review process conducted by editors and reviewers of SAR. 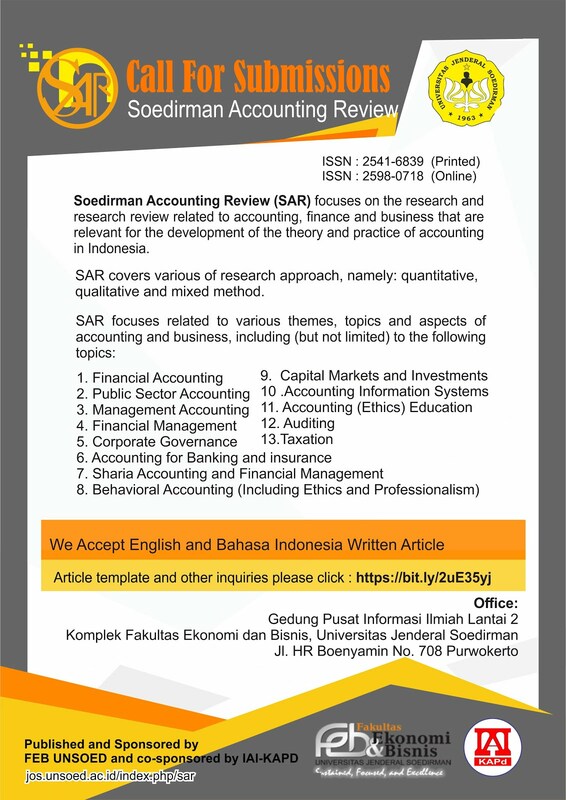 This process considers several factors such as relevance of the article and its contribution to the development of accounting practices and accounting profession as well as compliance to the requirement of a published articles. Editor and reviewer provide evaluation and constructive suggestions for the author.